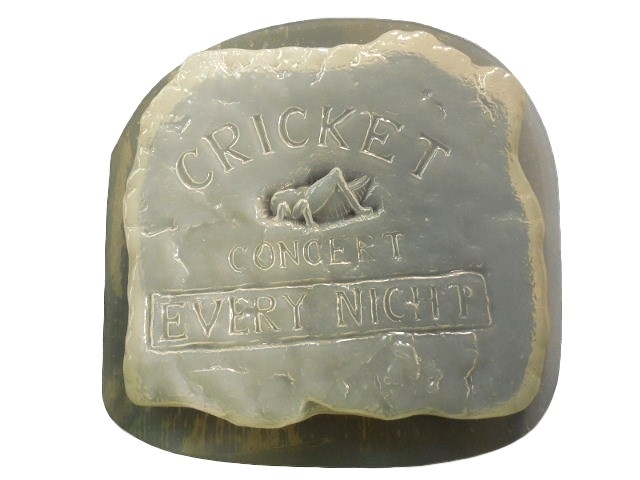 Cricket Concert stepping stone mold. The cricket concrete mold will make a finished stone that measures approximately 11 inches by 11 inches and is 1 1/2 inches thick. This concrete mold is great piece to pour with concrete and use around your flower beds and in the garden. Use plaster in the mold to make this as an indoor wall hanging. See our other animal concrete molds for sale to use in your garden to. All of our molds are easy to use, reusable and can be used with concrete, cement, plaster, soap and resin. We do send out basic instructions with our orders. You can also view our instructions page, recipes and frequently asked questions for more helpful information.